Language is the species-specific human version of the animal system of communication. In contrast to non-human animals, language enables humans to invent a plurality of possible worlds; reflect upon signs; be responsible for our actions; gain conscious awareness of our inevitable mutual involvement in the network of life on this planet; and be responsibly involved in the destiny of the planet. The author looks at semiotics, the study of signs, symbols, and communication as developing sequentially rather than successively, more synchronically than diachronically. She discusses the contemporary phenomenon that people in today's society have witnessed and participated in, as part of the development of semiotics. Although there is a long history preceding semiotics, in a sense the field is, as a phenomenon, more "of our time" than of any time past. Its leading figures, whom Petrilli examines, belong to the twentieth and twenty-first century. Semiotics is associated with a capacity for listening. This capacity is also the condition for reconnecting to and recovering the ancient vocation of semiotics as that branch of medical science relating to the interpretation of signs or symptoms. The pragmatic aspect of global semiotics studies the impact of language or signs on those who use them, and looks for consequences in actual practice. 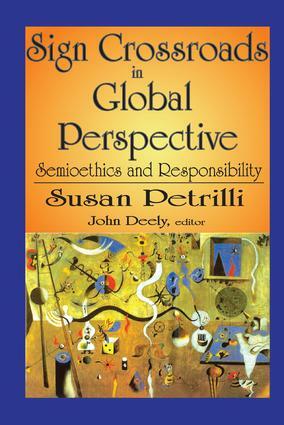 In this respect, Petrilli theorizes that the task for semiotics in the era of globalization is nothing less than to take responsibility for life in its totality.